In two years time, the National Hockey League or the NHL Players Association could decide to bring their current collective bargaining agreement to a premature end. Though the CBA’s expiration date is Sept. 15, 2022, the league can opt out on Sept. 1, 2019 while the PA can do so on Sept. 15, 2019. If one or the other takes the early out, the CBA will expire on Sept. 15, 2020. That would set the stage for perhaps another lockout of the players by the team owners if no new agreement is in place by then. Given the contentious history of NHL CBA negotiations, we can likely expect yet another work stoppage. Should that occur, it probably won’t be the season killer of 2004-05. Back then, the league was determined to implement a strict cost certainty system from scratch whilst crushing the PA’s militant leadership. The next lockout will likely cost half a season, just like in 2012-13 and 1994-95. On Aug. 20, The Athletic’s Katie Strang detailed the main issues that could arise in the next round of collective bargaining. Distribution of hockey-related revenue (HRR) and escrow topped the list, followed by maximum contract lengths and Olympic participation. Of these, HRR and escrow are the most consequential. Contract lengths and the Olympics are secondary matters likely to be used by either side as leverage on the more important issues. Over the last two lockouts, the division of HRR was reduced from a 75-25 split for the players (according to the league; some reports at the time suggested it was closer to 60-40) in the 1994 agreement to 57-43 under the previous CBA, eventually arriving at the current 50-50 split. 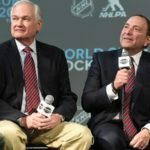 As long as the league addresses what Strang called HRR leakage by broadening what is considered to be hockey-related revenue (such as money from legalized betting) to ensure the players get a fair share, or doesn’t insist on the owners getting a larger slice of the revenue pie, another round of labor strife could be avoided. Otherwise, don’t expect to see your favorite NHL team in action during the autumn of 2020. The problem, however, is the escrow percentages rose along with the salary cap. The players usually got very little of that money back once the final HRR was tallied at season’s end. As Strang notes, the escrow percentages since 2012-13 were usually over 12 percent and sometimes exceeded 15 percent. The players hate the system but, given that the salary cap is tied to revenue, it’s not going away. They’ll likely seek to reduce the percentage but it won’t be easy. Strang noted one way to reduce it would be to lower the salary cap but that won’t sit well with players seeking new contracts. Indeed, she suggests it could pit the players against each other. That’s a scenario the league will happily exploit. If there’s a possible silver lining here, it’s what Strang called the “wild card”: Seattle becoming the NHL’s 32nd franchise. The league board of governors could green-light that entry during their annual meeting this December in Florida. If approved, the earliest the Seattle club could hit the ice is 2020-21. The last thing league honchos want is the potential embarrassment of their new franchise’s debut put on hold over a work stoppage. It could become the PA’s biggest bargaining chip. Reducing the cap would actually increase escrow not decrease it. As stated Lyle escrow is the accounting balancer to make sure the players only get their 50%. Never going away. HRR will become more encompassing at a bare minimum picking up expansion revenue, revenue sharing from the have’s to have nots willl get better nor will I be shocked to see the % move nominally in owners favour. Say 53-47. Nor do I think the NHLPA or the NHL will choose to opt out early. The next lock out will be in 2022-23. Seattle will get 2 years in the league. Their is little to nothing to be gained by the NHLPA to opt out early. They will be giving back in the next lockout. In return for what they give they will get expansion revenue added to HHR as well as some other lesser issues, Gary reed Olympic participation & I assume the 7 years to UFA status will be reduced by a year or 2. To get these the NHLPA needs to give something back. That will be contract related & a nominal decline in revenue sharing. Again Escrow stays. You write about revenue and the withholding fees….I say write about how much revenue is transferred from Canadian teams to US teams and then compare to how many of these players dominate their no trade lists with Canadian teams who may provide a disproportionate amount of the revenue. Canadians are so mad about the game….the players want out as they feel harassed.Canadians are so mad about the game we keep watching and keep financially supporting the league while the players migrate south. Go to a Sports Check store (owned by that Canadian icon Canadian Tire) and see how many Canadian players images are hanging from the rafters wearing American jerseys. Watch a Tim Horton’s ad and there is Sid the Kid who plays for Pitts. and MacKinnon who plays for Colorado acting like the all Canadian boys. That revenue should not be going to Canadian players who go south, but the guys who stay north and suffer the over attention of the hockey loving fans in Canada. We need to put pressure on these advertisers not give revenue to players who play for US teams. A bit of a rant I’m afraid….just bugs every time I see Sid playing Canadian in a Tim’s. By the way I do think he is a great player. 31 teams in the league 24 in the US! 4 of the original 6 were American teams, 80%. This isn’t a Canadian game any more. Its the fastest growing sport in the world & the growth in the US is staggering & we are just on the tip of the iceberg. I don’t share your view, I’m Canadian my favourite team is Boston. I could care less where NHL players come from I love hockey. Now in international play at either the WJC or Olympics & I bleed red & white. This isn’t just Canada’s game anymore & Canada isn’t subsidising US Hockey. 1. Under 25 year old RFAs off their entry level contracts getting 10 million a year because they sniffed a PPG average. Eichel’s contract is a great example. There’s no way a guy who had never scored 60 points and had played 2 whole seasons should be getting that kind of deal. Same with Draisaitl (although we clearly had more than 60 points in year 2). GMs will need to be saved from their own stupidity again soon. Max RFA tiers based on years played, etc. will likely be implemented. 2. Contracts that are 90% bonus, 10% salary. Smaller teams just can’t compete against this angle and more and more players are going to try and use this strategy. 3. We get a lock out every 10 years. Only real concession of consequence the players might get is raising the salary cap floor relative to the cap max. It’s way too low and the poverty teams just need to find a way to make money or pack up shop.